Sunday 28th July I was invited, by my friend Sonia and her family, to go to, what was like a combination of a religious festival ( Apurimac – la Virgen de Cocharcas) and a country fair. There was folk music, dancing, a demonstration of Peruvian Horses plus lots of other activities. 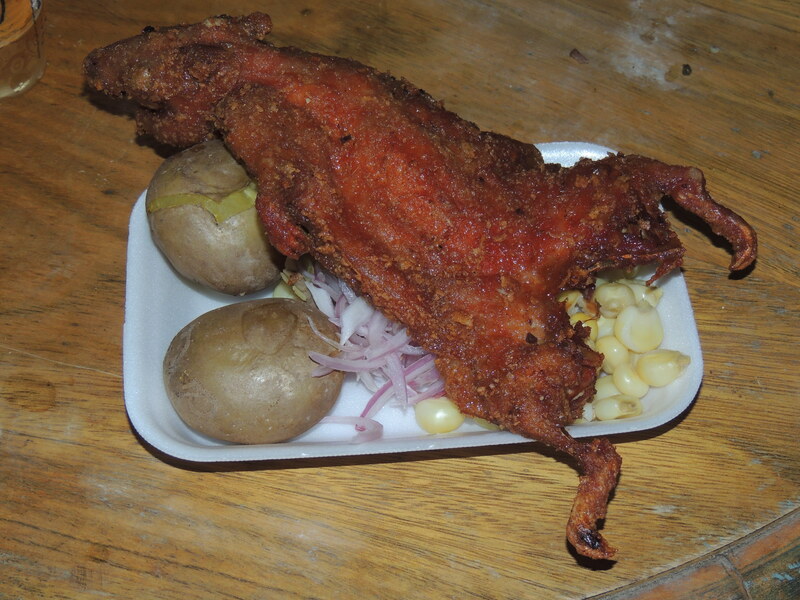 Food was available and I sampled Cuy (guinea pig). Delicious. After the festival we went to her brother´s farm, where another brother and his friend entertained us on various musical instruments. It was a celebration of Sonia´s birthday, a continuation of the Fiestas Patrias and a ” Welcome to Perú” party. Good fun accompanied by some good beer. Sonia has a large family and they all made me feel very welcome. This entry was posted in Miscellaneous and tagged Fiesta Patrias, Lima, Peru, Peruvian people, South America. Bookmark the permalink.